John Fabian Witt is Allen H. Duffy Class of 1960 Professor of Law at Yale Law School. His most recent book, Lincoln’s Code: The Laws of War in American History, was awarded the 2013 Bancroft Prize, was a finalist for the Pulitzer Prize, was selected for the American Bar Association's Silver Gavel Award, and was a New York Times Notable Book for 2012. John Fabian Witt is Allen H. Duffy Class of 1960 Professor of Law at Yale Law School. His most recent book Lincoln’s Code: The Laws of War in American History was awarded the 2013 Bancroft Prize, was a finalist for the Pulitzer Prize, was selected for the American Bar Association's Silver Gavel Award, and was a New York Times Notable Book for 2012. Professor Witt is currently writing the story of the men and women behind the Garland Fund: the 1920s foundation that quietly financed the efforts that culminated in Brown v. Board of Education. He is also co-editing a scholarly edition of a lost nineteenth-century manuscript on martial law, tentatively titled To Save the Country: A Lost Manuscript of the Civil War Constitution, which is forthcoming with Yale University Press. Previous writing includes Patriots and Cosmopolitans: Hidden Histories of American Law (Harvard University Press, 2007), and the prizewinning book, The Accidental Republic: Crippled Workingmen, Destitute Widows, and the Remaking of American Law (Harvard University Press, 2004), as well as articles in the American Historical Review, the Columbia Law Review, the Harvard Law Review, the Yale Law Journal, and other scholarly journals. He has written for the New York Times, Slate, the Wall Street Journal, and the Washington Post. In 2010 he was awarded a John Simon Guggenheim Memorial Foundation Fellowship for his project on the laws of war in American history. Professor Witt is a graduate of Yale Law School and Yale College and he holds a Ph.D. in history from Yale. He is a fellow of the American Academy of Arts and Sciences. He served as law clerk to Judge Pierre N. Leval on the United States Court of Appeals for the Second Circuit. Professor Witt’s casebook, Torts: Cases, Principles, and Institutions (2nd ed. 2016), is available for free on a Creative Commons license at https://www.cali.org/user/671896. Lafayette S. Foster Professor of Law Kate Stith is quoted and Allen H. Duffy Class of 1960 Professor of Law John Fabian Witt ’99 is cited in an article about border wall funds and the Constitution. John Fabian Witt is Allen H. Duffy Class of 1960 Professor of Law at Yale Law School. Ian Ayres ’86 is the William K. Townsend Professor and John Fabian Witt ’99 is Allen H. Duffy Class of 1960 Professor of Law at Yale Law School. Allen H. Duffy Class of 1960 Professor of Law John Witt ’99 and Ilya Somin ’01 are quoted in an article on the removal and preservation of statues honoring confederate soldiers. Allen H. Duffy Class of 1960 Professor of Law John Witt ’99 is quoted in an article about the removal of statues honoring confederate generals. John Fabian Witt, the Allen H. Duffy Class of 1960 Professor of Law and professor of history, has been named Davenport’s next head of college. Allen H. Duffy Class of 1960 Professor of Law John Witt ’99 is quoted in an article about the recently announced procedure for considering the renaming of university buildings at Yale. Allen H. Duffy Class of 1960 Professor of Law John Fabian Witt wrote a review of Chris Bray’s book Court-Martial. Emily Bazelon ’00 is a Senior Research Scholar in Law, Truman Capote Fellow for Creative Writing and Law, and Lecturer in Law at Yale Law School and John Fabian Witt is Allen H. Duffy Class of 1960 Professor of Law at Yale Law School. 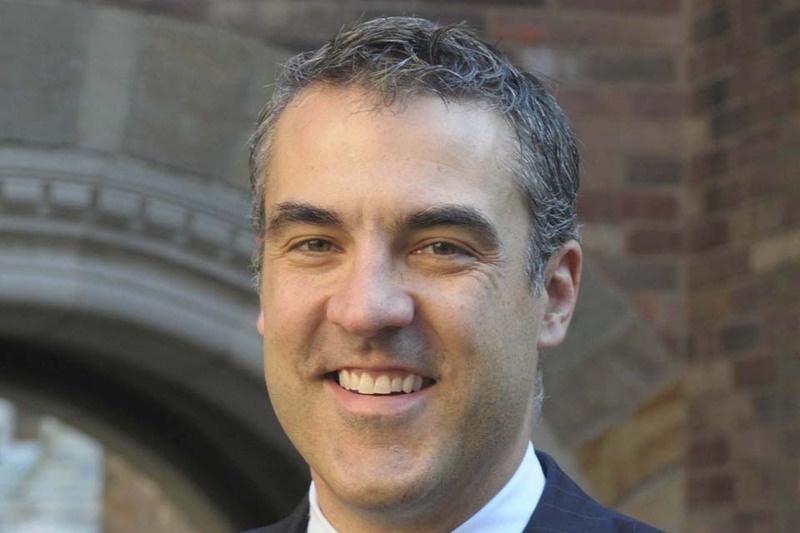 Ian Ayres ’86 is the William K. Townsend Professor of Law at Yale Law School and John Fabian Witt ’99 is the Allen H. Duffy Class of 1960 Professor of Law at Yale Law School. Yale Law School will host its 4th Doctoral Scholarship Conference on November 14 and 15, 2014. The American Academy of Arts & Sciences, one of the nation’s most prestigious honorary societies, has elected Yale Law School Professors George L. Priest and John Fabian Witt ’99 to its 2014 Class of Members. Professor John Fabian Witt has been awarded the American Bar Association’s Silver Gavel Award for his book, Lincoln’s Code: The Laws of War in American History. Professors John Fabian Witt ‘99 and James Oakes will discuss their new works about the Civil War and emancipation on Monday, April 8, 2013. 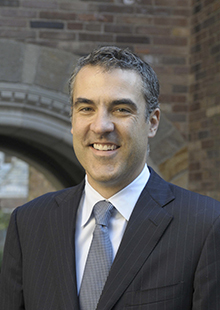 Professor John Fabian Witt '99 is the recipient of the 2013 Bancroft Prize from Columbia University for his recent book. Professor John Witt’s book, Lincoln’s Code, and Professor Akhil Amar’s book, America’s Unwritten Constitution, have been named notable books of 2012 by two top newspapers. In his new book, Lincoln’s Code, Professor John Fabian Witt ’99 charts the alternately troubled and triumphant course of the development of the laws of war in America, from the Founding to the cataclysm of the Civil War and on to the dawn of the modern era. Yale Law School faculty members and lecturers comment on the U.S. Supreme Court’s landmark ruling on the health care law. John Fabian Witt ’99 will present his inaugural lecture as the Allen H. Duffy Class of 1960 Professor of Law on February 28, 2011. YLS professors James Q. Whitman ’88 and John Fabian Witt ’99 have been awarded Guggenheim fellowships. Douglas Kysar has been named the Joseph M. Field ’55 Professor of Law at Yale Law School, and John Fabian Witt ’99 has been named the Allen H. Duffy Class of 1960 Professor of Law. “For Bob Gordon,” 70 Stanford Law Review 1681 (2018). "The Social Histories of International Law," in William Dodge, Michael Ramsay & David Sloss, eds., The U.S. Supreme Court and International Law: Continuity or Change? (Cambridge University Press, 2011).